The evening was cold, but he suggested they go for a spontaneous walk anyway. She hesitated but finally agreed, and the two of them set off together through Twin Rivers Park, just like they had done countless times before. And although he didn’t plan to propose that night, he knew when he stopped the car that it was the right moment. As they walked, their conversation was normal - talks about travel and fun and the things they’d do together. But as they continued walking, their conversation turned to their upcoming anniversary. It had almost been three years since they began dating, and they would be apart. Again. When Porntip pointed that out, he replied, “I know this isn’t exactly how we would want to spend our anniversary… but how about this?" 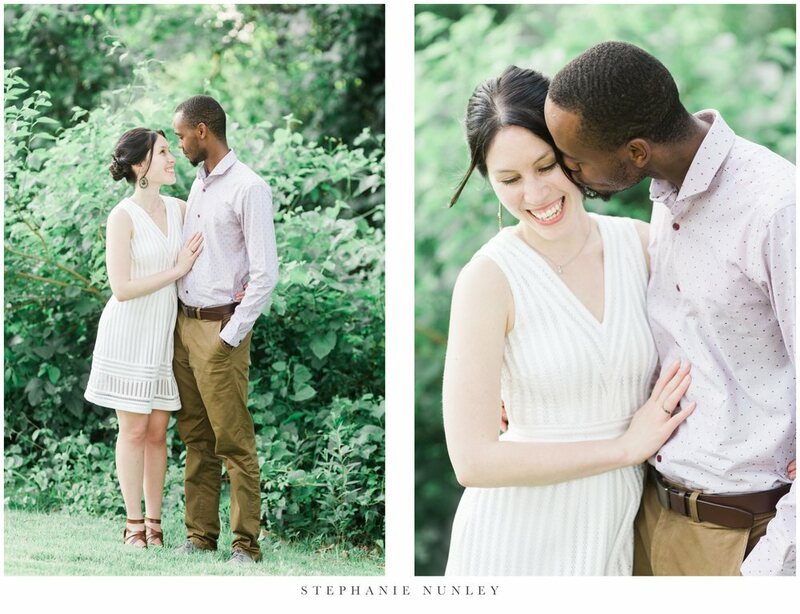 And when she turned around, Theophile was down on one knee. The lights on the bridge behind him came on just as he opened the jewelry box in his hands, and the moment was perfect - just like something out of a beautiful, romantic film. 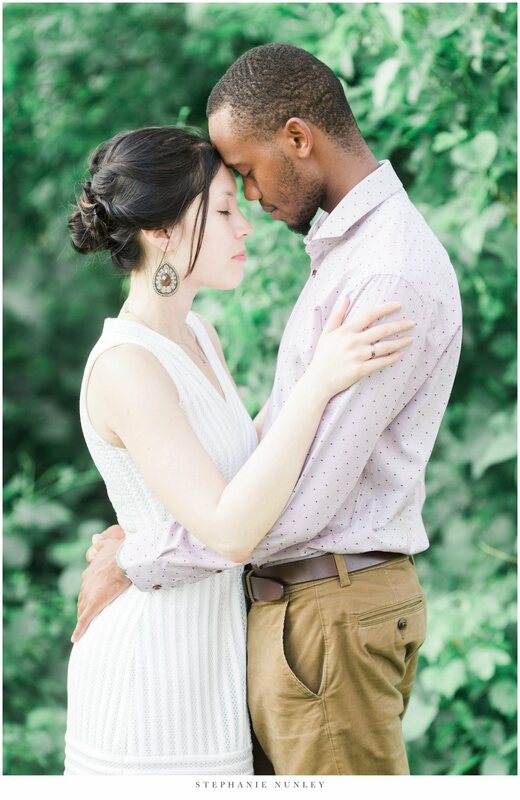 Since Porntip and Theophile live in Massachusetts, we weren’t able to get together for their engagement session until the week before their wedding. So, last week I met up with these two in downtown Little Rock and had the best time with them. 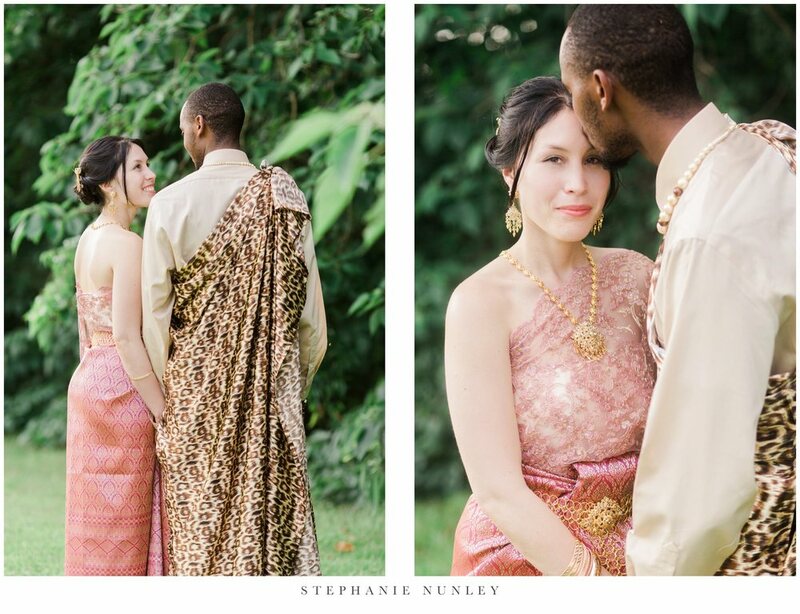 Porntip and Theophile started out their session in traditional Rwandan and Thai wedding attire, which was a special way to incorporate their unique cultures within their photographs. After spending some time together in the area behind the Clinton Library, we walked to the riverwalk and finished up there. I had such a great time photographing these two, but my favorite part of their session was the time we spend walking between locations and the conversations we were able to have about life in those in-between moments. I think these two are just wonderful, and I was SO thrilled to not only be a part of their engagement, but their wedding this past weekend as well! I’m excited to share more of their wedding photographs soon, but in the meantime, I hope you enjoy a few of my favorites from our time together on Wednesday!